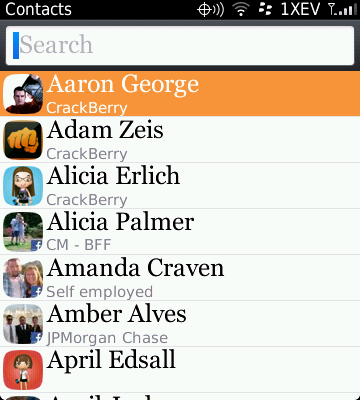 We all know that we can start typing a person's name in our BlackBerry address book to locate a contact. What about when you have several people with the same first name, or at the very least the same first letter? You could type in their first name and then scroll to the correct contact. While that doesn't usually take too much time, there is an even quicker way. Simply type in the contacts initals separated by a space. Now you have an even smaller list to select from or perhaps the exact contact you're looking for (very few people I know have the initials AZ). That's it!